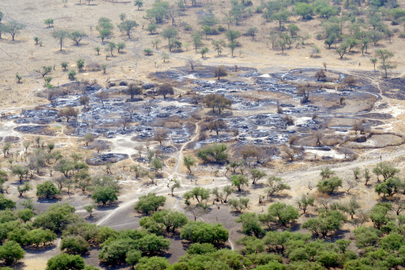 UNITED NATIONS, January 13 -- After the UN was slow in responding as 6000 fighters descended on Pibor in South Sudan, UN Peacekeeping chief Herve Ladsous told the press that "dozens" had been killed. On Friday, two days after Inner City Press exposed the reason for the UN's slow response -- that since mid November when the Russian helicopter pilots previously under UN contract in North Sudan told the UN Department of Field Support that they would not fly -- Secretary General Ban Ki-moon's Deputy Spokesman Eduardo Del Buey told Inner City Press that now the UN says that it found only fifteen bodies in and around Pibor town, and no witnesses to more. Inner City Press: I wanted to ask you about South Sudan; I learned yesterday that in this incident of Pibor County, that one of the explanations given and discussed behind closed doors in the Security Council is that Russian helicopters stationed in Juba declined to fly to Pibor. And the Russians say, that it is because they don’t have a letter of assist in place and that UNMISS and DFS were well aware of this. 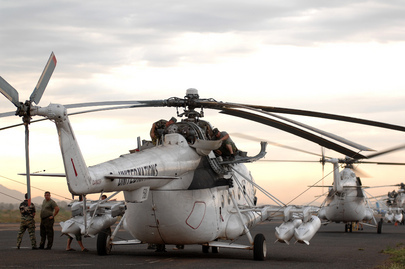 Is it the case that the letter of assist, the contract between Russia and these helicopters expired on 1 December; that a draft wasn’t provided to them until 15 December and has not yet to be signed, and that DFS knew that these ‘copters were not going to be available, and, therefore, there were no helicopters available and, therefore, the UN arrived on a delayed basis in Pibor? Spokesperson: Well, first of all, we don’t comment on negotiations taking place between the Secretariat and Member States and the use of their military assets. But just to correct you on one key point, factual point: even while letters of assist — that’s the term — letters of assist are being negotiated, helicopters do fly. Okay, other questions?